Why are we so afraid to give birth to our children? The amount of Cesarean sections by choice rather than necessity is growing at an alarming rate. 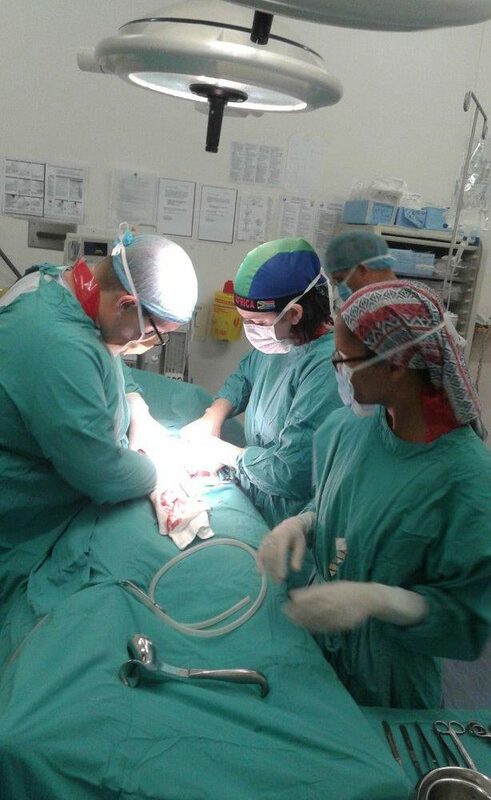 South Africa heads the line with an elective cesarean rate of 60-85% in the private sector. Reasons for this going far beyond “I want to plan my maternity leave” or“My husband will be away on business”. Most of our new mothers are afraid, no they are petrified of having their babies naturally, the way we are intended to and always have given birth. Why we so afraid, how can it be that are something so very natural has become so alien to us? Could it be that our social structure seems to be disintegrating, we no longer talk to one another and prepare one another for child birth and the information we do receive is from horror filled stories of ill supported births of friends and family? Could it be because women are seldom in the position where they receive the one on one care they require which would enable them to give birthwithout fear and without losing their sense of self? What about the pressure exerted on new parents suggesting (with out realistic reason) that the baby will be too big, mums bone structure too petite to allow natural birth and that the effects of natural child birth on the body would be too terrible to imagine, could this make it difficult to approach ones pending birth with confidence and joy? I have assisted with many births, done either at home or in the hospital. I have worked with midwives, doctors and doulas in various countries and learning what childbirth can be, is an ongoing experience which I consider to be one of the most wonderful in my life thus far! Families have every right to their very own journey, NOT one imposed on them,by others! I insist that it is our privilege (not duty) as childbirth professionals, irrelevant of our titles, to facilitate this journey by offering personal, professional support geared towards the mother and babe, accurate information and a birthing environment which offers a new family all they could need in order experience the birth of their baby as the wonderful and sacred as it should be. Successfully marketing a cesarean section as no big deal, a small, quick operation, has made this a great alternative to the “inconvenience“of natural childbirth. The fact that research shows us that a Cesarean Section still puts us and our babies at greater risk than a natural birth and that there is no research supporting Elective Cesarean as a preferred birth choice, does not seem to affect the amount of elective Cesareans we have. 50 years ago we were being convinced that many of us needed a Hysterectomy after we have had our children….research today proves us wrong! 30 years ago many children were to have their tonsils out….research today has proved us wrong! 20 years ago we were assured that giving birth to your baby, lying on your back using stirrups was the way to go…..research today has proved us wrong! 10 years ago a tubal ligation was the preferred method of family planning once our families had been completed and again research today has proved us wrong! 10 years from now…………… consider what the long term effects of this trend will be? Are you sure that you want to “Outsource” this very precious happening a gift to you . Women are the source of life, the choices we make, directly influence the generations to come. It is important that we look after ourselves and that we insist that others look after us too!